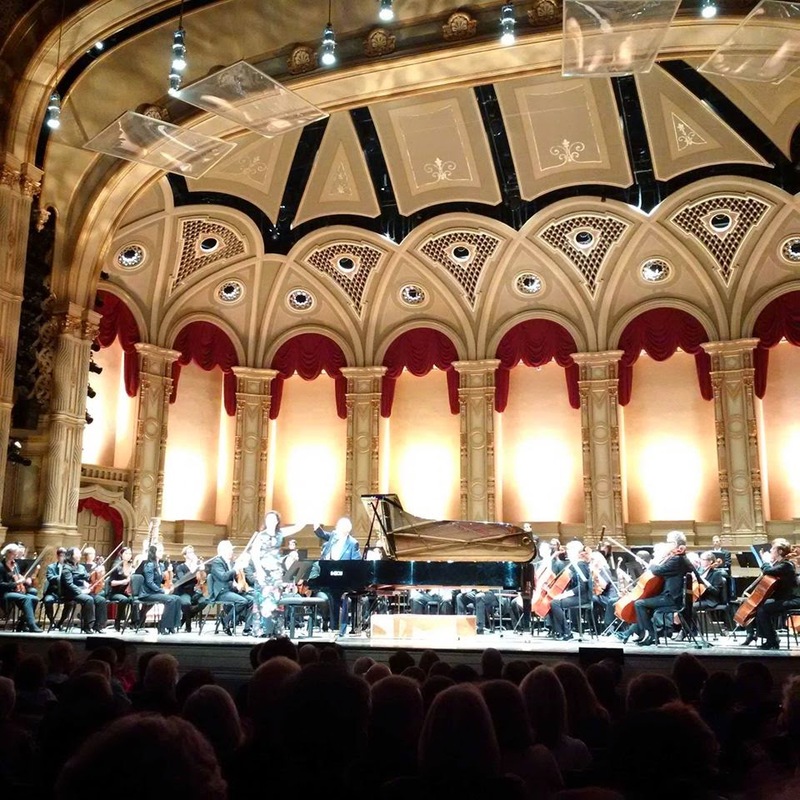 VANCOUVER, BC – On Saturday the 9th of May, the world’s leading Bach pianist Angela Hewitt came to Vancouver to perform 3 concerts with the VSO before moving on to Victoria. Recognized around the globe as being the top Canadian pianist, Hewitt performed for a full house at the Orpheum Theatre on all 3 days. 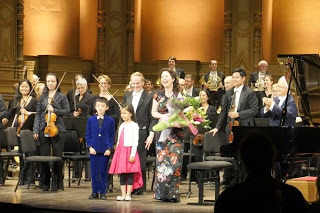 Having a very high standard for her own performances, Angela Hewitt requires a Fazioli piano for all of her performance. 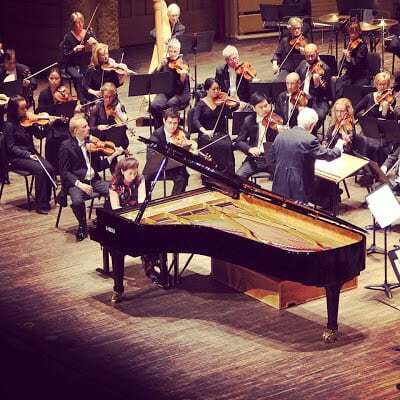 Angela Hewitt has purchased a Fazioli piano in each one of her homes in Italy, England, and Canada and believes that they are the most ‘creative’ piano being made in the world today, since it allows the greatest expression of any piano. 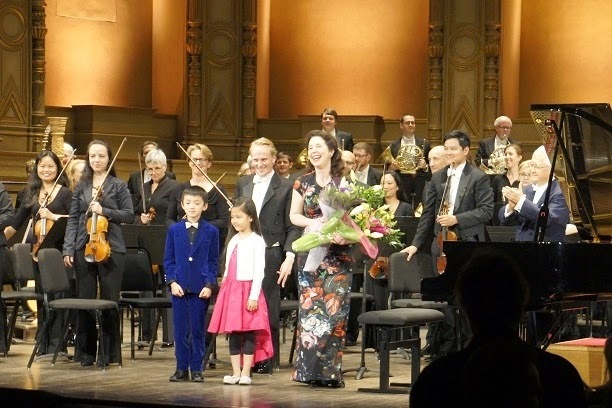 At the end of her performance on Monday night, local Young Fazioli Artists Ray Zhang and Isabelle XinYi Wang presented her with a big bouquet of flowers.